Scientologists contribute voluntarily and generously to the Church both for the religious services in which they participate as well as to support the opening of new Ideal Scientology Organizations and the implementation of large‐scale humanitarian and social programs around the world. A great number of international Church programs, particularly in the fields of drug education and rehabilitation, raising literacy standards and advancing human rights, are funded by grants from the International Association of Scientologists, which raises donations from its members without regard to their participation in any services. Scientologists contribute because they want to receive the benefit of L. Ron Hubbard’s technology and they want millions of people world over to benefit from it too and thus achieve the Aims of Scientology. 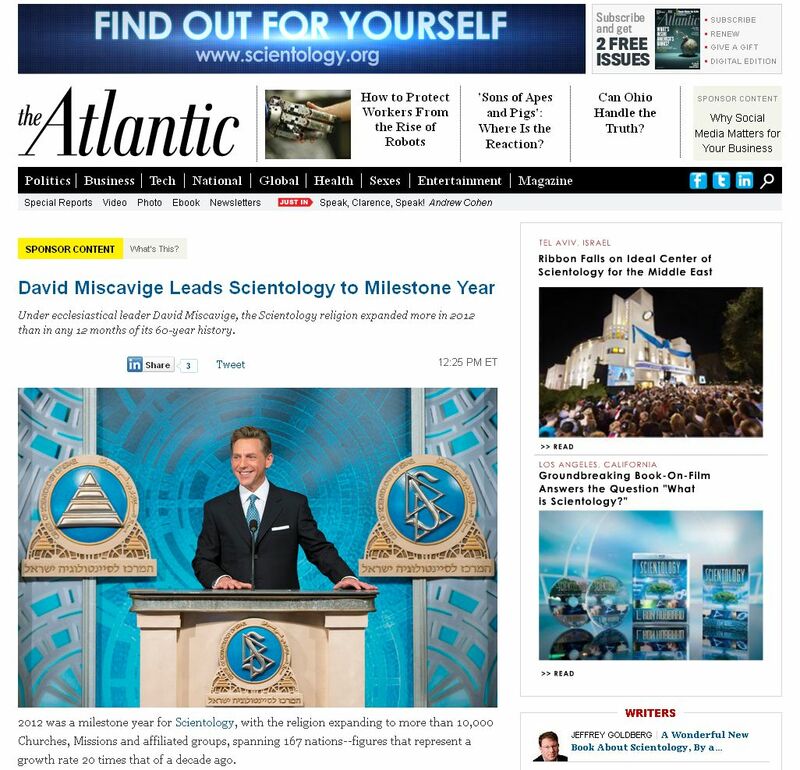 The result of these efforts is unprecedented expansion in the actual delivery of Scientology religious services—an increase of 40 times over previous levels—and the religion now measured in terms of more than 10,000 Churches, Missions and affiliated groups, with millions of members in 167 countries. What follows are applicable LRH references in response to specific claims made by some squirrels who, while claiming to be a “auditors” or “trained”, never did any of the Golden Age of Tech line up, never did the Basics Books and Lectures and wasn’t even around for the ACCs release. And thanks for visiting this blog! I put it up to give you the opportunity to ask questions, about Scientology, Scientologists, David Miscavige and whatever you feel is related to that. If you are here to make statements or raise a fuss, you are violating the only rule this blog has. Otherwise I am very interested about your questions and will do my best to answer them, using documentation and all I know about the subject. 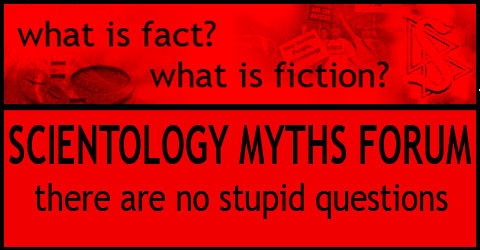 For common questions (“Aliens?,” “Cult?”) be sure to check out ScientologyMyths.info as well. There were some recent reports about an “Alien Space Cathedral” that Scientogists built. Now if you are a Scientologist you might laugh it off (“aliens”? “cathedral”? WTF?) but keep in mind that most non-Scientologists have no clue about Scientology and just believe about anything. So here is some information: The symbol talked about in the media is the Church of Spiritual Technology’s corporate logo. Because the facility is in such a remote area, the only way to it is by way of a nearby airstrip. The corporate logo is carved into the ground to help pilots find the airstrip, as there is no control tower or air traffic control. The logo is NOT visible from space!